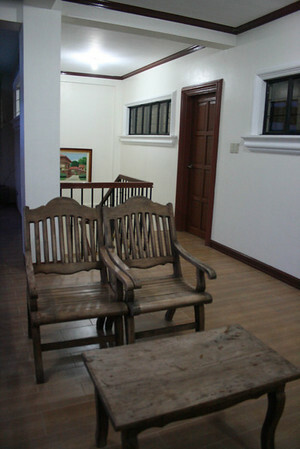 Casa Leonida is located in Calamba, Laguna. For P12,000, you get to rent the venue for 24 hours. 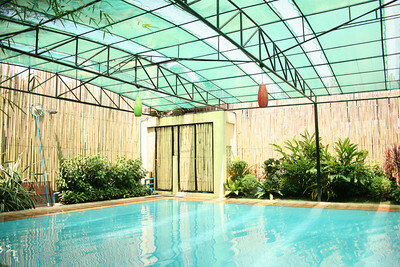 It comes with use of big pool and kiddie pool (hot springs), three air-conditioned rooms (with at least three double beds each plus extra mattresses), all rooms have cable TV, two sets of CR/shower room for men and women, videoke machine, pool table, and a fully-equipped kitchen (so you really just need to bring the food you want to cook because they even have big pots there). Not a bad price for all that, really. 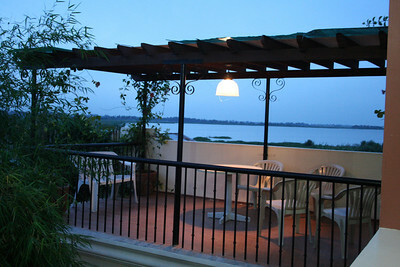 Plus, there are enough chairs and spaces for lounging. I'm guessing, if you rearrange the furniture a little, there's even enough room for some weight equipment. There's only enough parking inside for three big cars. So disappointed with this resort. I would definitely NOT recommend this place to anyone planning to have a getaway in Pansol area. We just had the WORST EXPERIENCE here and I wouldn't want anyone else to go through the same. Yesterday we booked an overnight stay in Casa Leonida, Solemar Del Pansol Village to celebrate our Lola's birthday and to relax and unwind with family and relatives. First day was so fun that we even stayed up until 3:30am. Only to wake up at 5 in the morning with most of our valuables missing. iPad, iPhone, Cellphones, Dslr, Bags, Nike shoes, etc. With an estimated value of 150k pesos. Take note that all of the items missing were all inside the room. There was no sign of forced entry. First thing my cousins did was to get the car and see if the thief is still around the area but before they could even get the car out, they noticed that the gate was already opened. They then told us about the gate so we went searching for the caretaker to report what had happened. We found him in his room with the door open which was located near the gate by the way. At this point, we were all wondering why would they leave the gate open or if the thief was an outsider, how come they didnt even hear or notice that someone came in or went out.. On the other hand, we couldn't think of anyone else who has access to the rooms except the caretakers who hold the keys of all the rooms. (they dont to want to let the customers hold the keys of the rooms because they said they had an experience of customers not giving them back.) Don't get me wrong, i'm not accusing the caretakers or anyone from the management team. We were atleast expecting them to be more vigilant since they dont want to hand us the keys in the first place. But instead, they even doubted us when we reported what happened and claimed that this was the first time it happened to them in 8 years. As frustrating as it is, no further actions were taken by the management. As of this moment, we still don't have a clear picture of what might happen to this case. But we are serious about pursuing to take legal actions if necessary. But for now, I would definitely NOT RECOMMEND this resort because of the lack of security and safety.